RAW HOLLYWOOD : JUSTIN BIEBER COVERS TUPAC'S "THUGZ MANSION"
JUSTIN BIEBER COVERS TUPAC'S "THUGZ MANSION"
Justin Bieber dropped by the BBC Radio 1 Live Lounge to perform a few songs this morning. He did a couple of his hits, along with a few covers. One of the covers that the Biebs did was Tupac's classic hit "Thugz Mansion". Justin's cover to the song is slightly more slower, and gives more of a poem like feel instead of rapping. He nails the chorus of course, which was originally sung by J. Phoenix. The only music you will hear on this track is the guitar in the background. 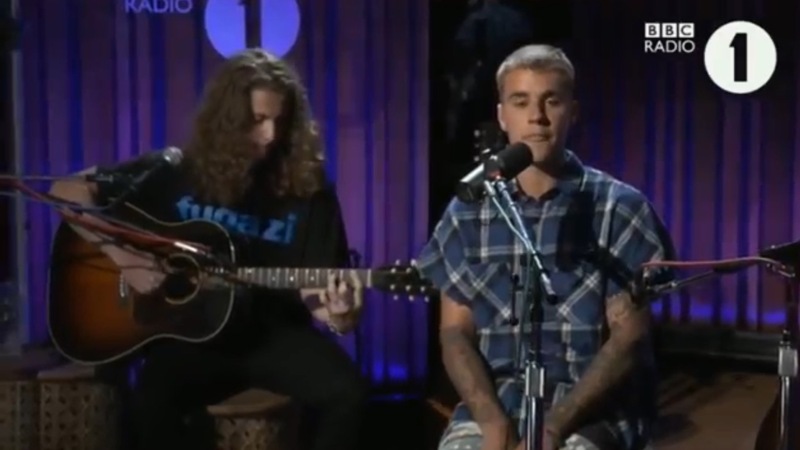 Beiber also performed his songs, "Love Yourself", "What Do You Mean? ", "Cold Water" and "Let Me Love You". He did another cover of "Fast Car" by Tracy Chapman during the performance as well. Check out the "Thugz Mansion" cover below.